Kilian Waters was originally trained in video and film production. In 2006 he collaborated with brokentalkers Theatre Company incorporating video into a live performance and he has been providing video design for theatre ever since. Over the years video and film have found their way more and more into live theatre performance and brokentalkers were always at the forefront of this new way of working. Kilian has worked on a variety of productions, with many different production companies. Involvement in projects ranges from designing and delivering video content, to advice on what projector to use. Have I No Mouth from brokentalkers on Vimeo. Have I No Mouth Total Theatre Award winner at Edinburgh fringe for Innovation, Experimentation, and playing with Form. Have I no mouth is a powerful piece of Theatre that explores the changing nature of the relationship between a mother and son in the aftermath of a family tragedy. Written and performed by Feidlim Cannon and his mother Ann, the production takes a brave, unflinching look at their past and attempts to piece together the truth, whilst exploring different ways we heal ourselves after the unthinkable happens. Ann and Feidlim are joined on stage by professional psychotherapist Erich Keller. 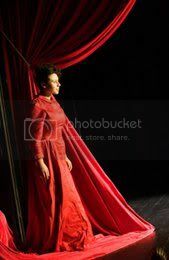 Have I no mouth is a devised performance incorporating Brokentalkers’ trademark style of mixing documentary material with breathtaking theatricality, which has established them as one of most important theatre companies to emerge in Ireland in recent years. Have you ever made a spectacle of yourself? Walking the tightrope of life, jumping through hoops, bending over backwards to please, there is pageantry in everything we do. Inspired by life and the extra-ordinary of the everyday, Pageant celebrates the performer in us all. David Bolger and Muirne Bloomer, dance-makers and friends, together have choreographed opening ceremonies for the Special Olympics, the Ryder Cup and the UEFA Europa League Final. Dancing to a powerful score, with music from Bowie to Ravel, the stellar cast of Pageant will delight audiences with their passion and pathos as they weave an exhilarating journey from choreographic mayhem to military precision. Served up with a side order of humour, this show is not to be missed from the award-winning CoisCéim Dance Theatre. The Blue Boy by brokentalkers from brokentalkers on Vimeo. The Blue Boy deals with the experiences of men and women who were incarcerated as children in Catholic residential care institutions. The Blue Boy combines a highly physical live performance alongside recorded testimony from former residents of institutions and gives a fresh theatrical voice to recently revealed stories of child abuse in Ireland. This powerful and haunting show premiered as part of the Dublin Theatre Festival. 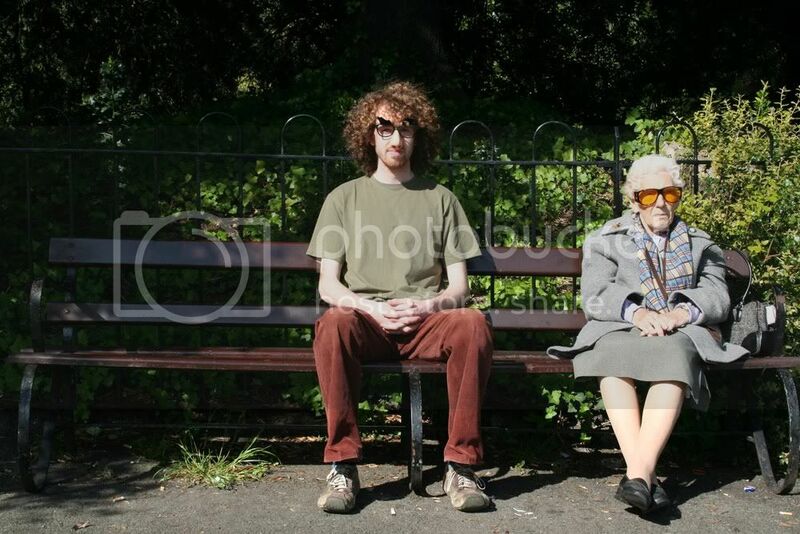 Commissioned by Bealtaine, the nationwide celebration of creativity in older age with Support from The Abbey Theatre. Silver Stars is a moving and eloquent song-cycle, which tells the truly extraordinary real-life stories of older gay Irishmen. Men in search of happiness and fulfillment, in a country that was challenged by their very existence. Based on celebrated singer/songwriter Seán Millar’s interviews with gay men from Dublin to New York, these songs capture tales of love, loss, family, spirituality, defiance and joy. Silver Stars premiered at Dublin Theatre Festival. 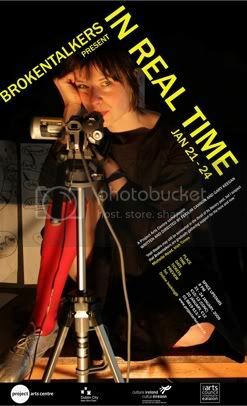 In Real Time is a performance that connects rooms in two different countries. In each city the performers and the audience can see and hear the people in the other space via video and audio feed. ‘Witty social choreographers’ Brokentalkers will explore people’s attempts to make connections, and the success and failure of technology in dealing with physical absence. In 2009 Brokentalkers premiered their experimental Internet show, In Real Time in Dublin, later presenting it to sell out crowds at the Noorderzon Festival, Holland and along side another Brokentalkers production, Silver Stars as part of the Tampere Festival in Finland in August 2010. Kilian Waters was appointed as the Video and Technical Designer for In Real Time and faced with the challenge of connecting two countries via an internet connection and presenting this in a visually engaging way to the audience. One of the most technically challenging pieces of work for Kilian to date In Real Time pushes forward what we can do with video and internet. 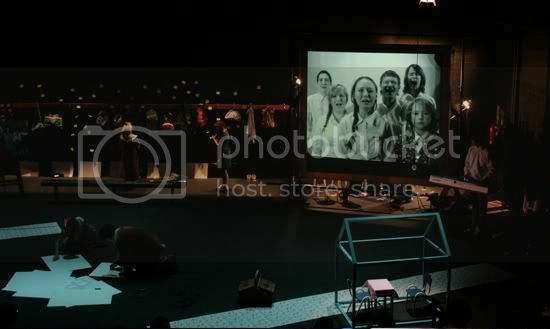 Brokentalkers were nominated for Judges Special Award in 2009 Irish Times Theatre Awards for their ‘Innovative work for new audiences, using new technologies and formats for the theatre’. Come to a lost place. junk ensemble (Winner Culture Ireland Touring Award 2008 and Excellence and Innovation Award 2007) presents Drinking Dust, a haunting dance theatre piece that pulls the cracked memories and forgotten people back in our life. This is a broken story in a burnt-out building. This is the gritty place that you left behind. Drinking Dust has toured extensively and was presented at the Centre Culturel Irlandais, Paris, in November 2009. ‘junk ensemble have guts and ingenuity’ The Irish Times. When Hardress Cregan’s family falls on hard times, only his marriage to a wealthy heiress, Anne Chute, can save them from ruin. But there’s a snag – Hardress is already secretly married to the beautiful, and not so wealthy, Eily O’Connor; and Anne is in love with someone else, Hardress’ best friend Kyrle. Will love win over money? Will a murderous plot succeed? And can they all live happily ever after? A dream about a girl from another world who comes to find out why people complain so much. The National Youth Theatre performs Strindberg’s groundbreaking experiment in surrealism, in a new version by Caryl Churchill. Strindberg wanted to create a play that imitated the form of a dream. The result is ‘a blend of memories, experiences, pure inventions, absurdities, and improvisations’, in which the ‘characters split, double, redouble, evaporate, condense, fragment, cohere’. In the story, ‘time and space do not exist, events are disconnected and illogical, anything can happen, everything is possible and plausible’. The play consists of a series of short scenes set in several different locations including, a tower, a family home, outside a theatre stage door, a lawyer’s office, a cave, and the sea shore. In August 2007 Brokentalkers and Dublin Youth Theatre presented “This Is Still Life” in the space upstairs, Project Arts Centre. The show featured a cast of 18 young people and was a critical success. This is Still Life was a unique theatrical experience. A dramatic seance where lost memories are brought back through half remembered stories, reenactments of classic TV shows and interviews with old childhood toys. This is Still Life was commissioned to mark the 30th anniversary of the DYT. 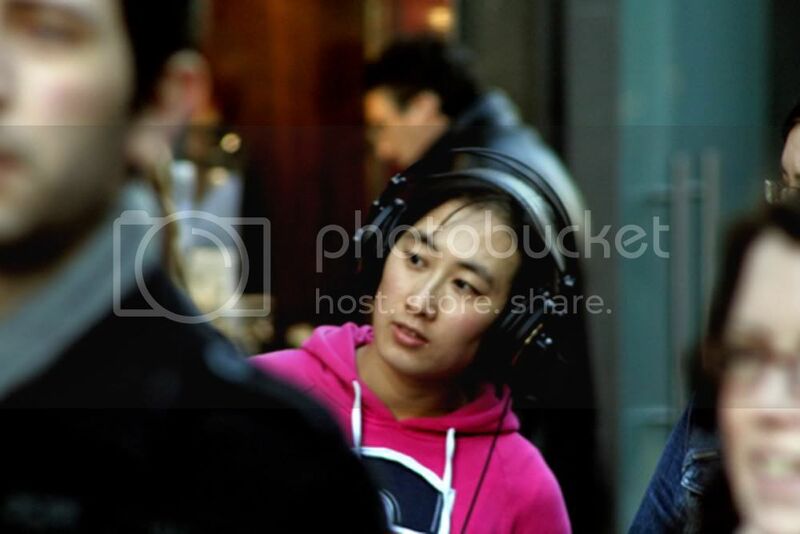 Track is a site specific performance, which takes the audience on a journey into the heart of multicultural Dublin. Using audio technology and live performance, Track offers an insight into life in an ever-changing city from the point of view of its newer inhabitants. Track is a piece in which the stories of the ‘new Dubliners’ are played out in a language of sights and sounds. The work is also concerned with creating a greater understanding between the people who call this city their home. It is a gently disarming piece designed to amuse and surprise, rendering a familiar city as though viewed through new eyes. Connection is the ultimate aim of the show and its most striking, heartening moments conjure the pattern of performance from the random bustle of a crowd: a sudden romantic tableau blooms in a public space, an arch intercultural rendition of a scene from a classic Irish play is tucked down a side alley, while a Chinese broadcaster’s warm anecdote of human kindness in a new land is relayed over the last stretch of our journey. That our tour has a secret destination is the final surprise, and one that extends its goodwill into a sense of cultural community. A chance to converse, and celebrate the Chinese New Year, its last act hums with optimism; that our evolving city, and our lives, are firmly on track. Through a city you thought you knew, along alleyways you didn’t know existed, arriving in an apartment that seems like any other. You will be taken in to the belly of the beast and be shown whom your neighbours really are. You will break the law and get away with it, visit a stranger’s house and drink his wine, witness at least two miracles and laugh as a man suffocates in front of you. It’s one hell of a party and you are invited! Presented in association with Project Arts Centre.